I spent last week cooking for about 80 people at our church's girls camp. 3 meals a day, plus evening treats. I'm dog tired. Feel like I've been hit by a truck or something. But I got in a couple of great naps since I've been home, and I'm feeling much better. 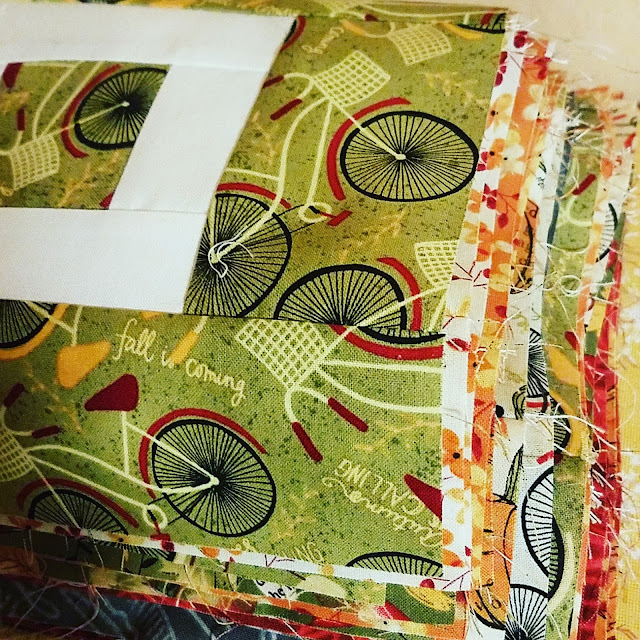 And I miss my sewing machine! I took it with me, thinking I would have time and space to do something. And I would have, only I decided to sear four fingers on my left hand (some gorgeous blisters, let me tell you) right before we were to serve Tuesday night's dinner. I had lovely little sausage fingers, all bandaged up. So no sewing or cutting for me (I'm left handed!). All healed up now, so I'm raring to go this week. 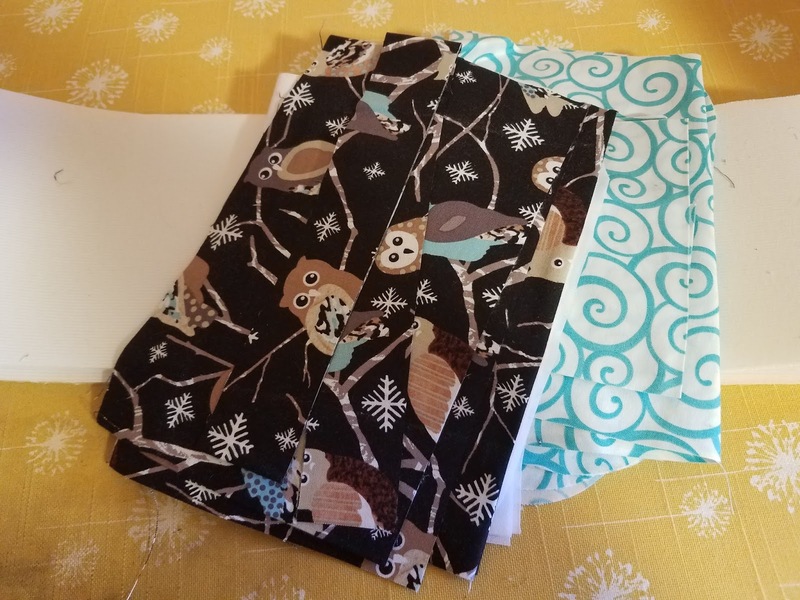 Cut out some gifts - zippy pouches, egg aprons, grocery bags - I've got some thank you gifts to make! 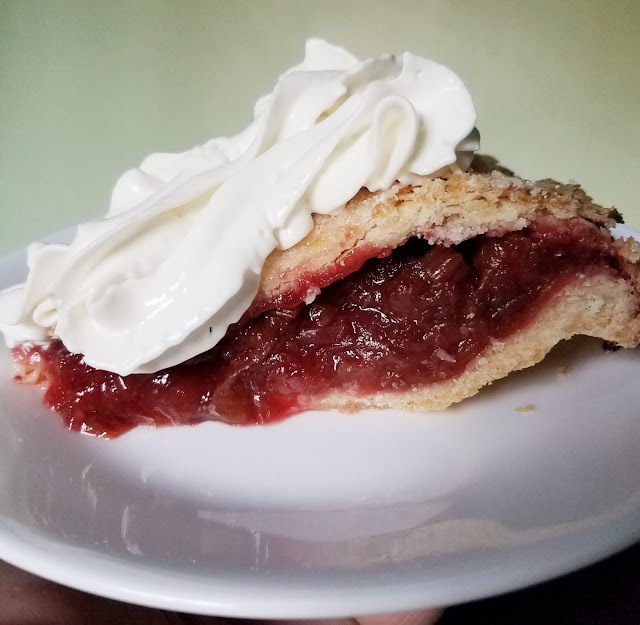 Strawberry Rhubarb Pie! Made by me, with strawberries and rhubarb from my garden. My first, but not my last! 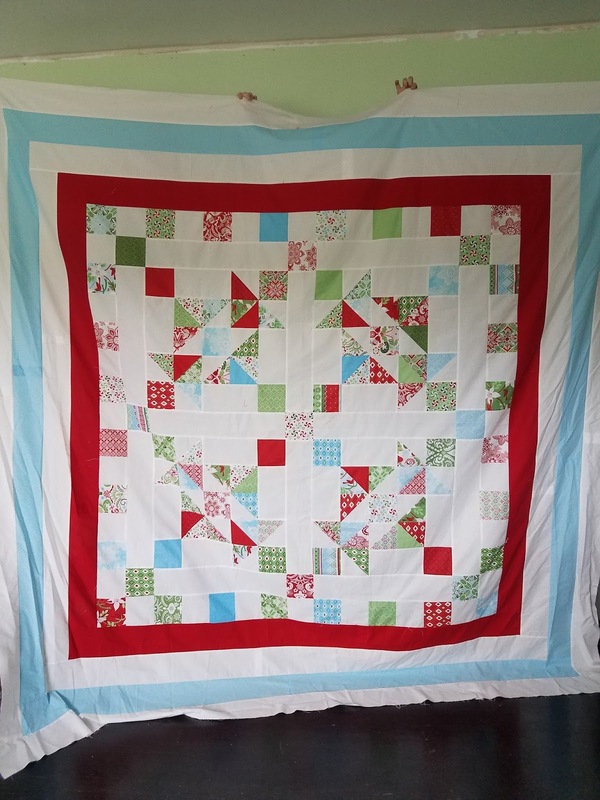 Christmas in July quilts - and a BOGO! My apologies on the giant strawberry. I'm still working on it. Never fear - it's close to being done! 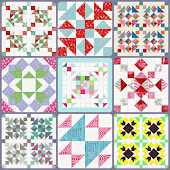 In the meantime, I thought I'd do up most of my patterns in some of the new Christmas lines that are out, or coming out, this year. Enjoy! 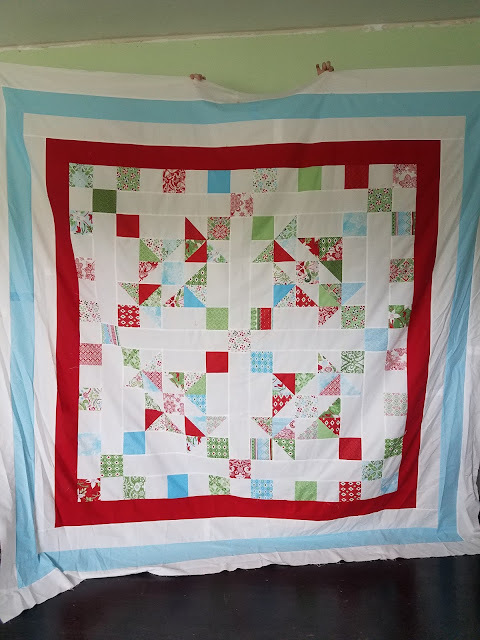 And I'm having a Christmas in July sale - it's a BOGO - buy one, then message me (right over at the top of the side bar) the one you want for free and I'll send it to you! 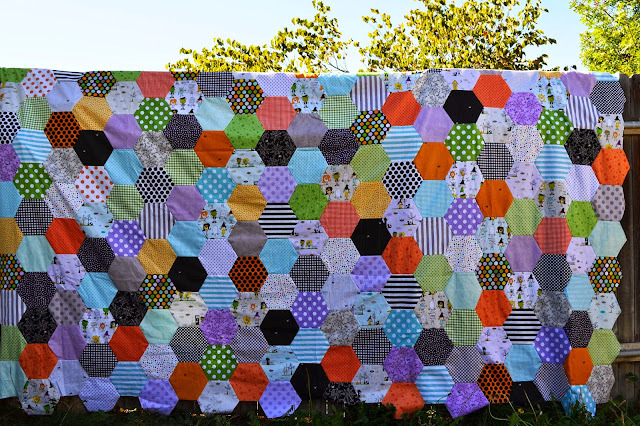 Just be sure to use the same e-mail as your Craftsy account. This is my newest pattern, Blockin' Around the Christmas Tree. I'm making it up in Vintage Holiday (Moda), so here's a mock-up. Christmas trees in Christmas Figs (Moda). Seriously LOVE this line. The truck is a separate pattern, and I can give you some hints on how to make the house. 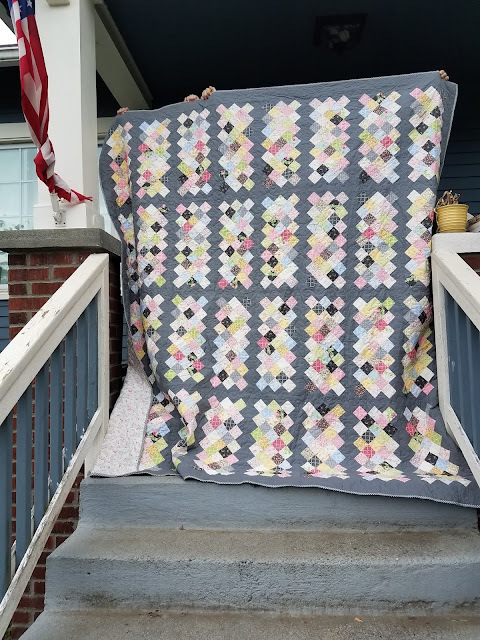 Make it Do, my very first pattern, all decked out in Good Tidings (Moda). 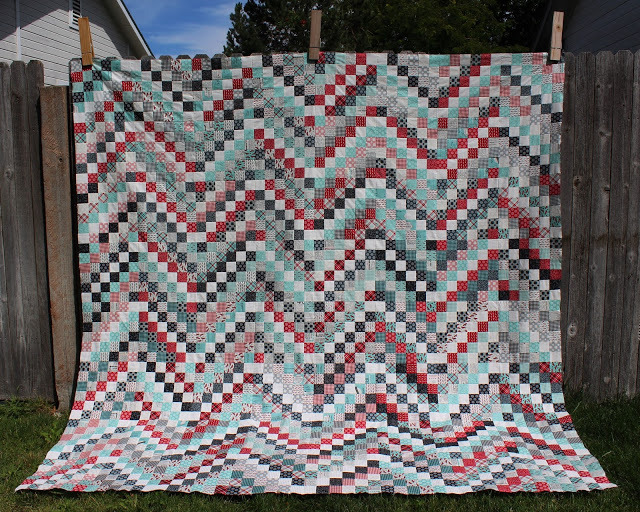 Catching Rays, the maxi version, looks kind of fabulous in Hearthside Holiday (Moda). Flying Fours works really well with Overnight Delivery (Moda). 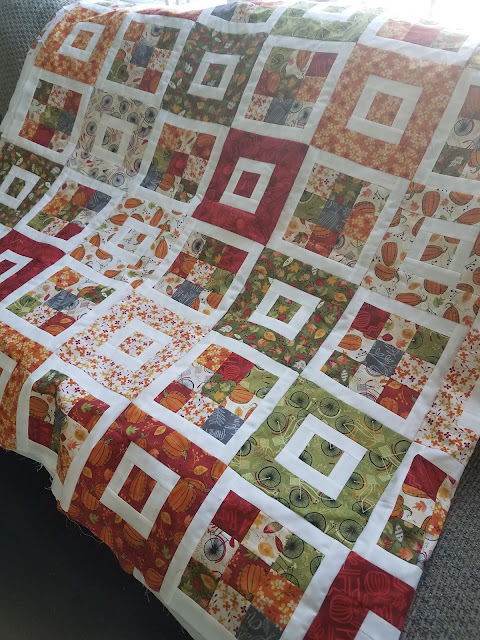 Flower with Reindeer Run (Craftsy fabric!). I'm thinking this one belongs in my collection! Chain of Fours looks great as a Quilt of Valor, but I'm also loving it in Sno (Moda). 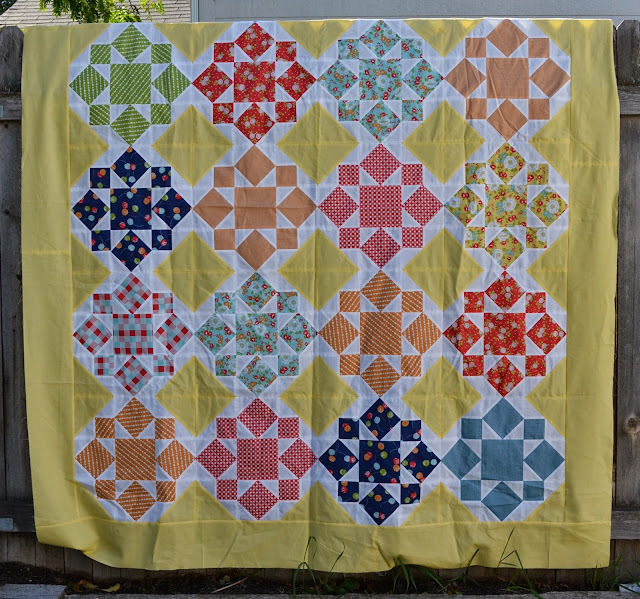 Four Squared was fun to make in summer colors, but I'm swooning over this Swell Christmas version (Moda). And last but not least, Taffy made with The North Pole (Moda). So what about you? Are you a Christmas in July crafter? I certainly am this year! 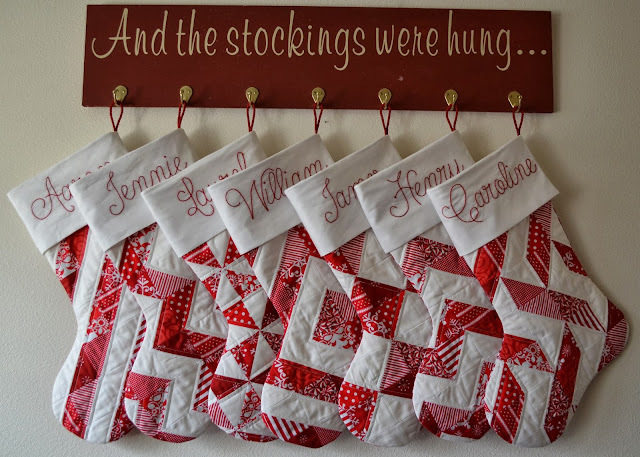 And I'd love to see stockings made up in one of these lines. Or all of them! I've got a busy week (when is it not a busy week? 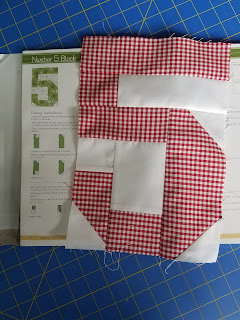 ), but I'm determined to get some regular sewing time. Last week was a bit too much as far as peopling, so I'm dialing it back this week. Going to hunker down, watch movies, and sew my little heart out. Red gingham dress for my youngest - seriously, I want one just like it! 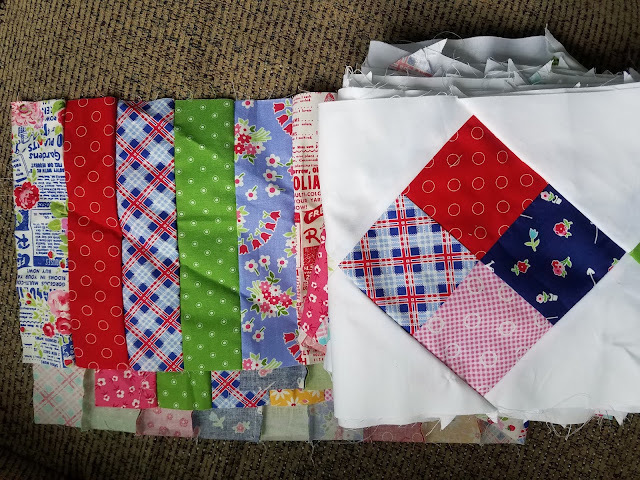 I'm also working on a few patterns, the giant strawberry especially. I'm thinking I need to title it "Jennie and the Giant Strawberry" or is that a bit too much? If you only knew how much I loved strawberries . . . Morning! Happy Saturday! I've got lots of gardening things on my list for today, but I'm sharing my #5 for Spelling Bee Saturday. I'm thinking of making a wall quilt that says 2+5 = *heart* 2 parents, 5 kids, lots of love? Is that cheesy? Because cheesy and I get along really well. I'm off to pick pie cherries all day. And bake a pie tonight! Have a great weekend! 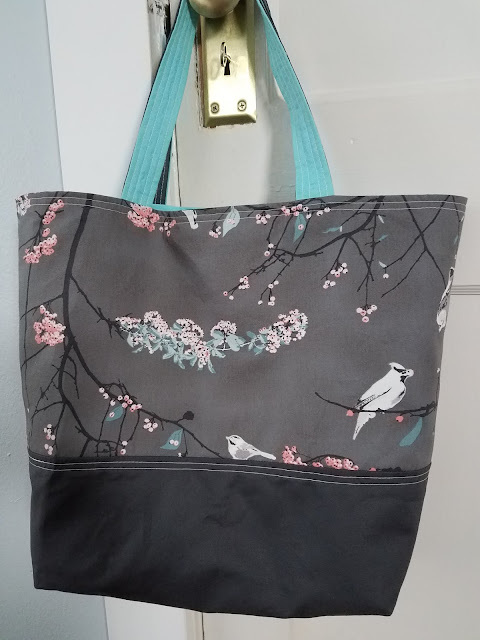 I'm still calling this her church bag, even though I know she's never going to use it at church. Says it's too big. She's probably right. 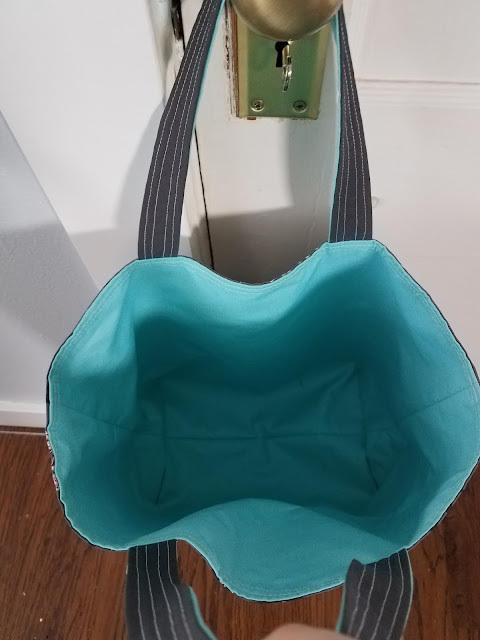 Instead, it will be her book bag for trips. Because a book bag can't ever be too big! Do you have a favorite book? I have several, and this one is high on my list. 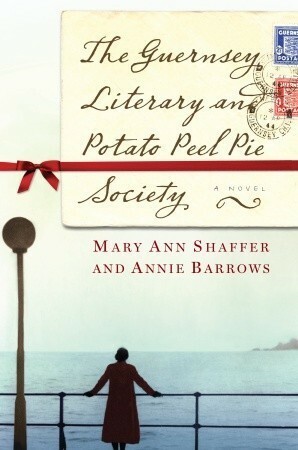 I've read it so many times and can't wait to see the movie. 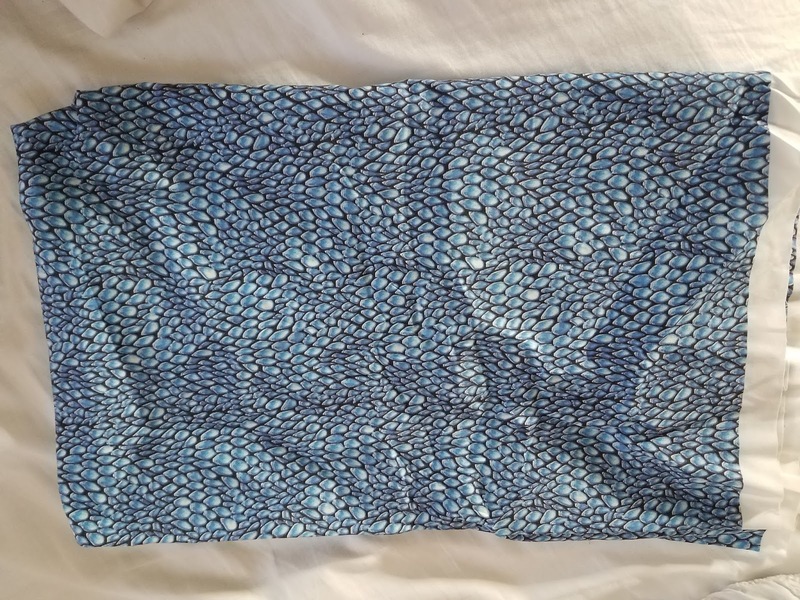 So of course, when I discovered the Guernsey fabric collection, I had to have some of it. 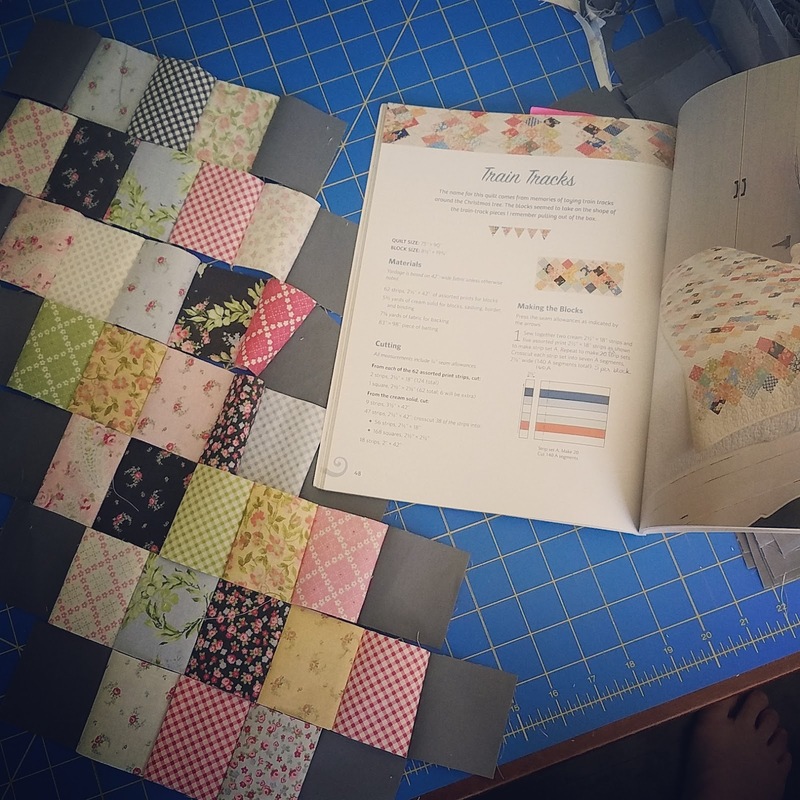 Paired with a fabulous pattern in the Start with Strips book by Susan Ache. I was actually productive last week. 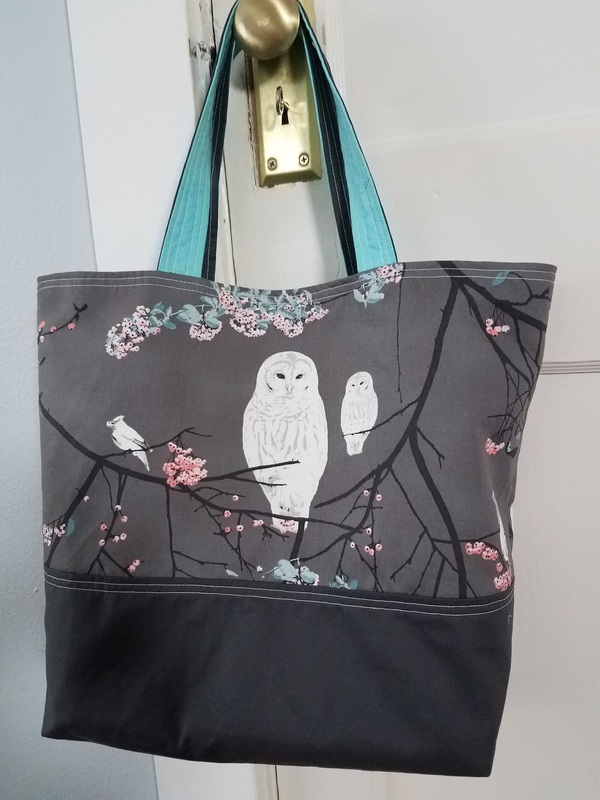 I mean, I think I always am, but I was productive with sewing projects this time around. 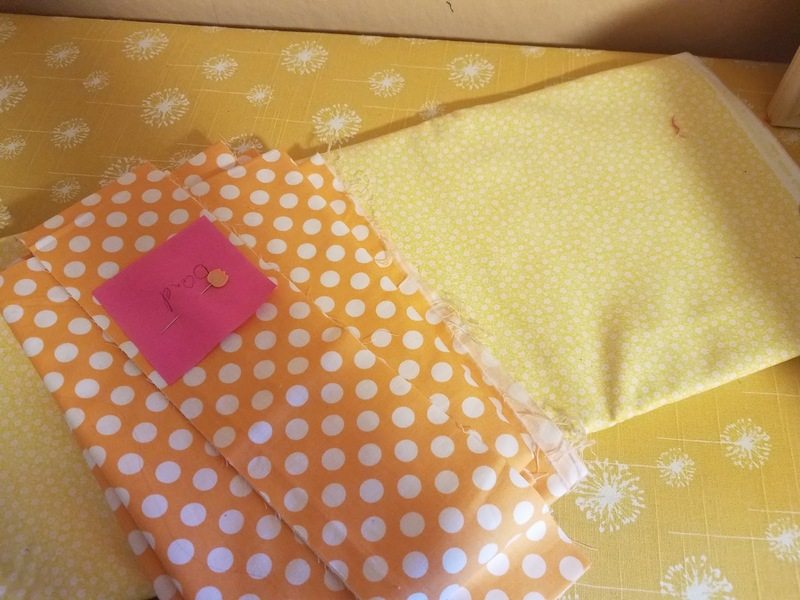 2 dresses for my youngest daugheter - just need buttonholes and buttons! Plus some progress on a few other things. On to this week's list! 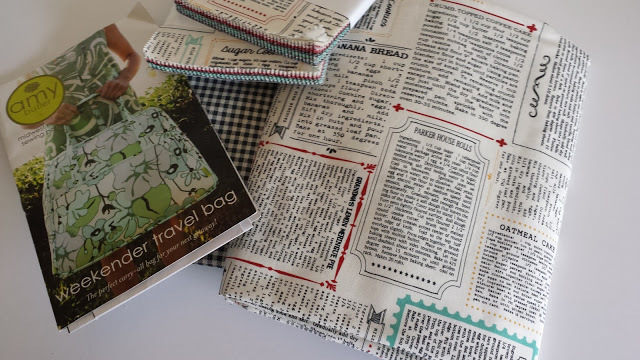 And it's all about bags and zippers and small stuff! 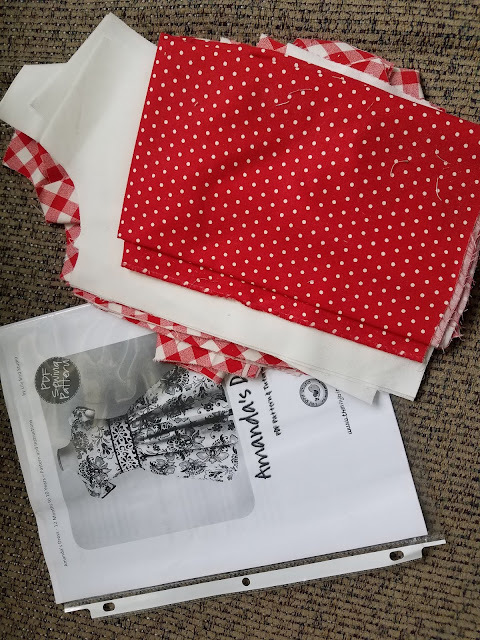 Sew a church bag for my eldest child - she's finally decided on her fabric! I used the dragon scales fabric to make her a laundry bag. And now for a pretty picture. 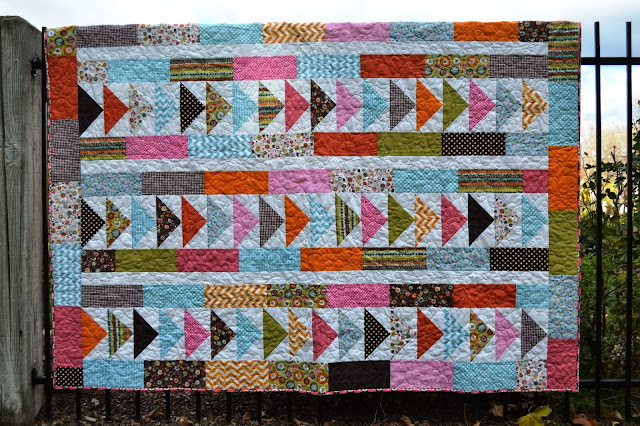 I'm thinking of writing up one of these as my next pattern. Or should I just write them all up? 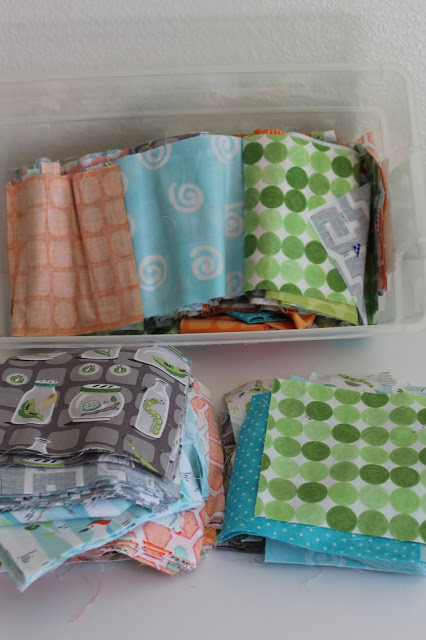 I'm pretty partial to the pinwheel quilt, and the on point boxes. I can't decide! I might be working on another one . . . .
My trek to Issaquah will have to be a once a month thing, but I don't mind. I just can't do any fancy quilting when I've got a two hour round-trip commute in the mix. Still, I'm happy just to get them done. 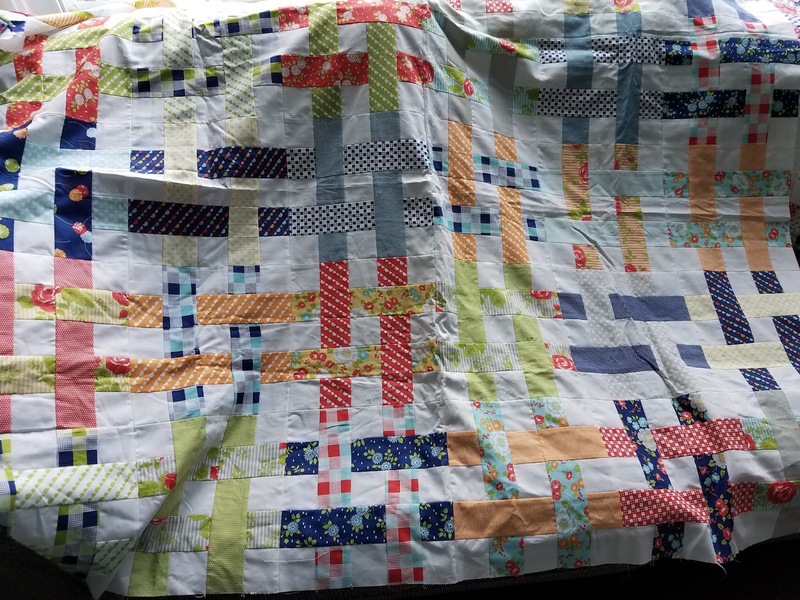 Actually, talking with the lady who runs the shop, I realized something about me and my quilts. 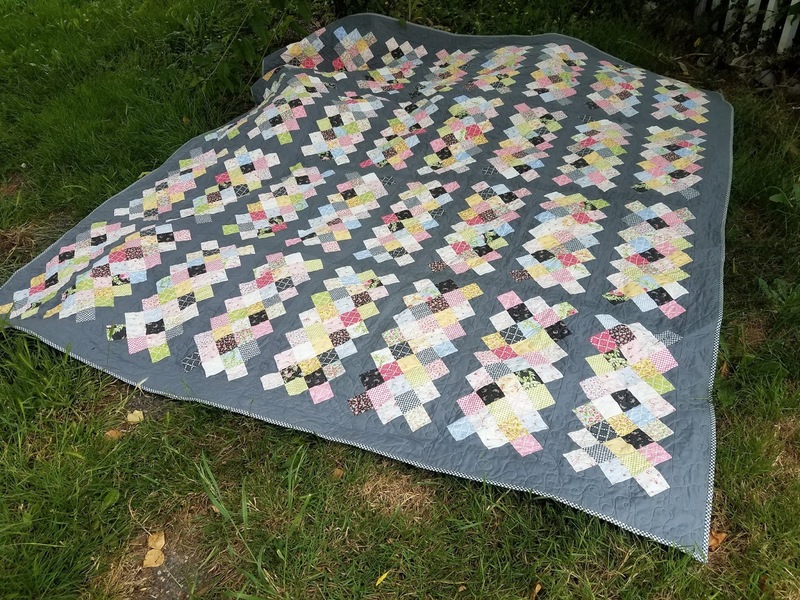 My quilts aren't art. 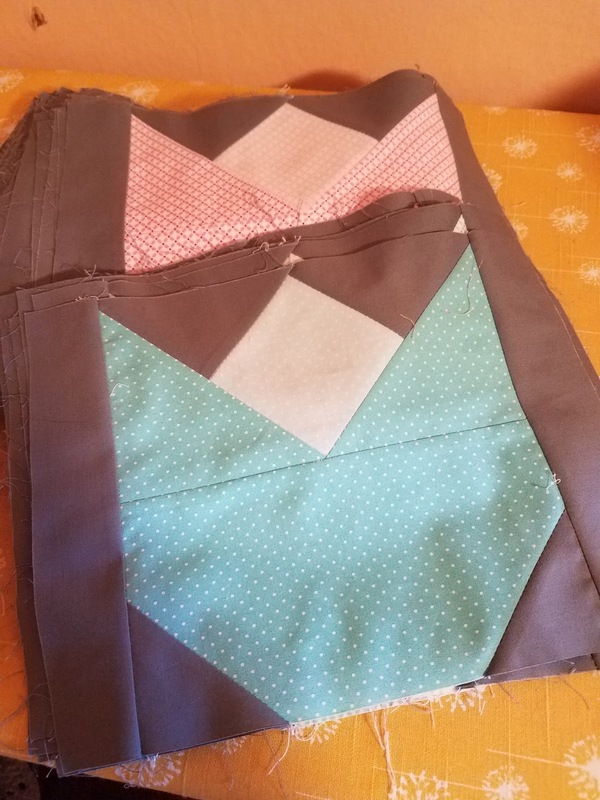 I mean, I think they're beautiful and I do my best at piecing and quilting them, but they're meant to be functional. I feel the same about wedding cakes. I want my quilts to be used and loved. I want my kids to build forts with them. I want my daughter to drag them out to the backyard so she can read a book in the sunshine. I want to have picnics on them. I want them to go on camping trips. 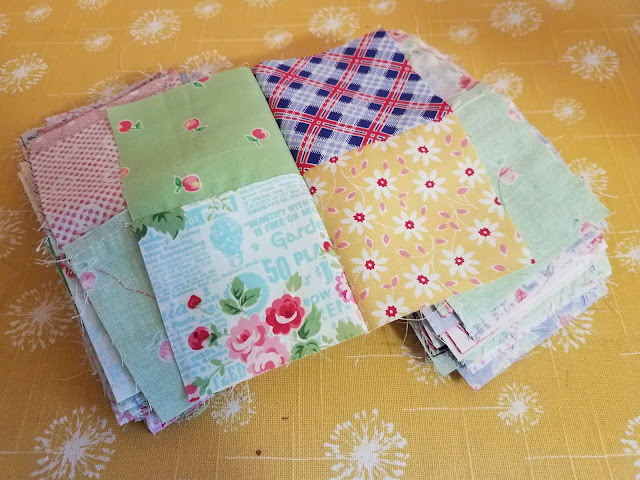 So I don't spend a whole lot of time quilting them because I want them done and in use! 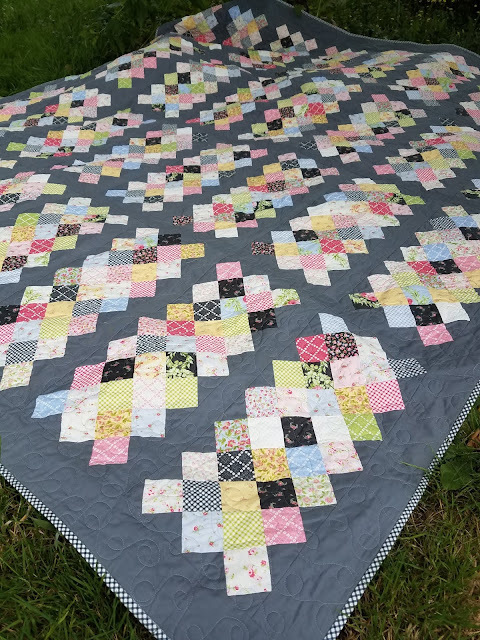 Friday Finish: A quilt! A quilt! The grass is greener in Western Washington. 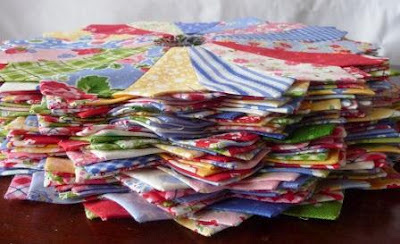 Except when it comes to finding a place to quilt my quilts. Idaho spoiled me. I was 15 minutes away from a fantastic quilt shop that had 4 long arms for rent at very reasonable rates. I was there a lot. And then we moved. And I love my little house and my garden and my fruit trees and all the painting I get to do. But I miss finishing quilts on the long arm. I found a place, but it's an hour away. 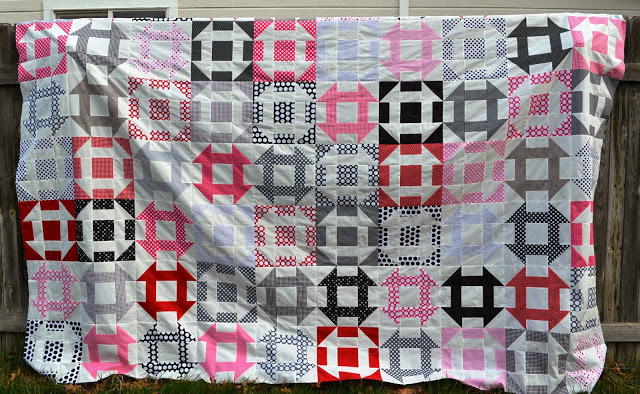 Still, I trekked up there and got two quilts finished. But I can only show you one right now. The other was a sample quilt for Craftsy and I have to wait! Arggghhh! But trust me, it's adorable. 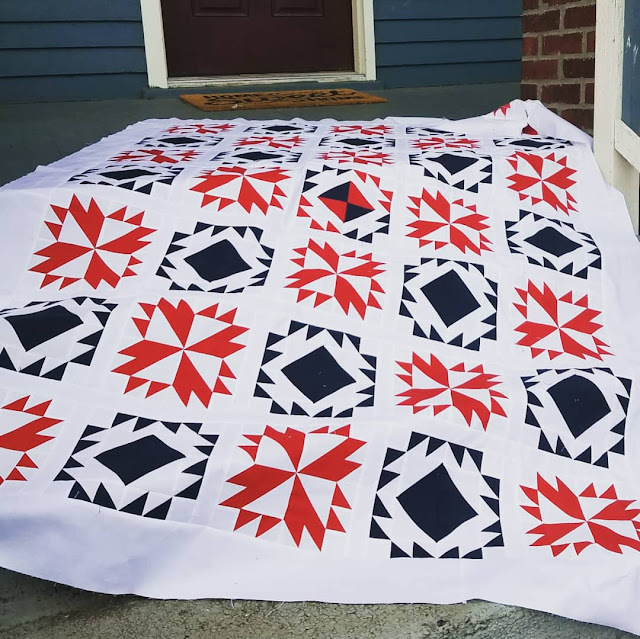 One giant Open Season quilt (I made it bigger - who's shocked? 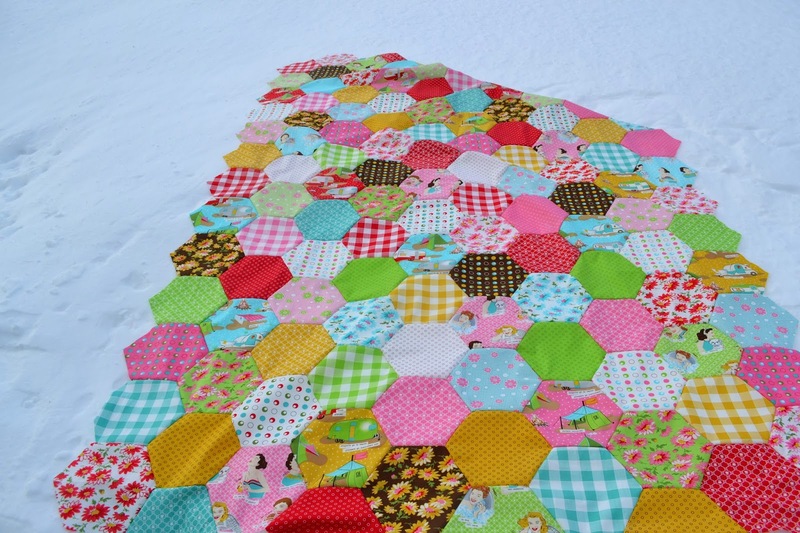 ), backed in lime green flannel and so super cozy. And my cute quilt holders - I need to find a better place to photograph my quilts. 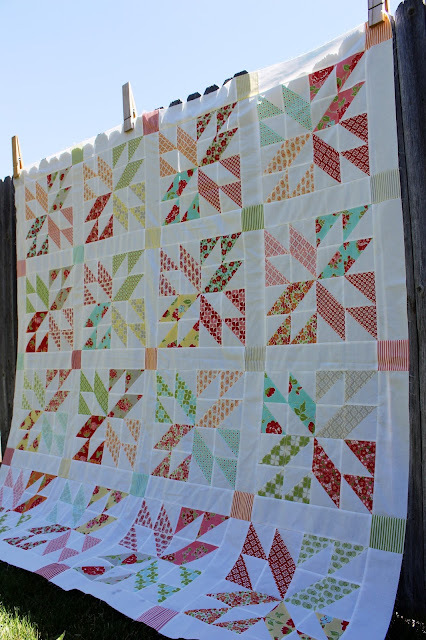 I miss my fence and big clothespins. Size: Huge. Okay, I'll measure it. Hope you have a lovely weekend planned. I'm going to be finishing up a new pattern, and working on something. I haven't decided what I want to work on. 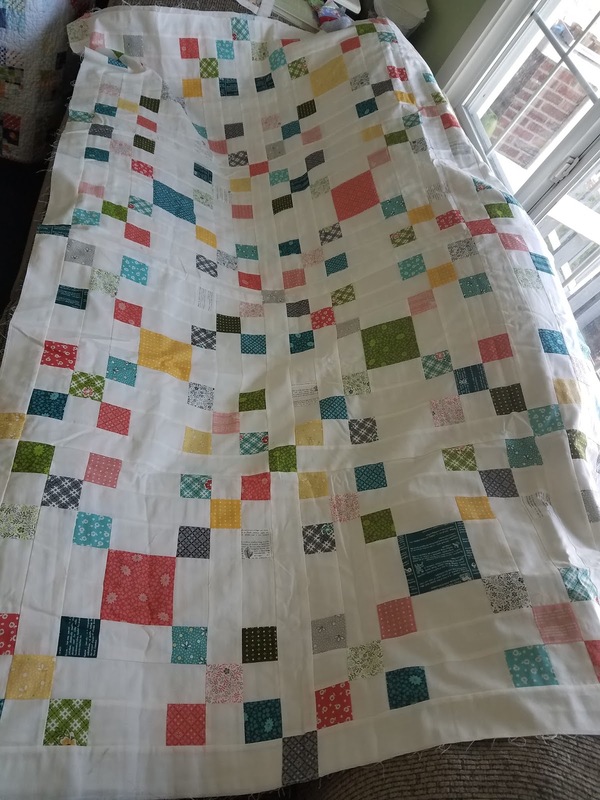 It's been a while since I've done one of these, but I'm finally, FINALLY, settled in and sewing and have a place to quilt my quilts, so I'll actually have finishes again. Which means my list is massive. And everything is going on the list, just in case I happen to get it done. Quote Quilt - Spelling Bee! Patchwork Stockings Pattern is READY!!! Visit Jennie's profile on Pinterest. Make-A-List Monday: I Larb You! 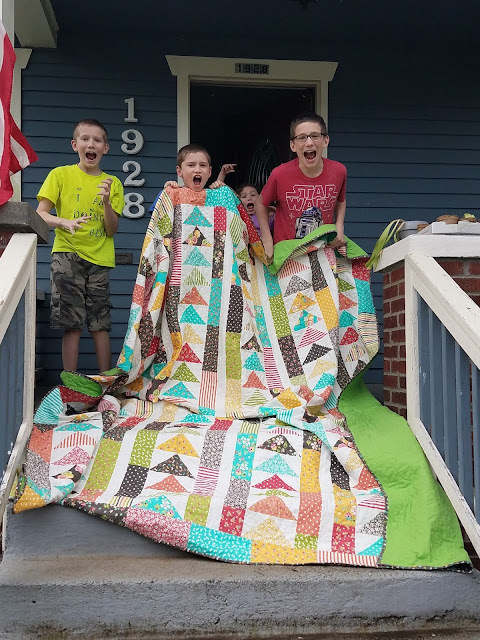 Friday Finish: Hello Sunshine Jacob's Ladder Quilt, and Blogger's Quilt Festival! Color Monday: Back in full swing! 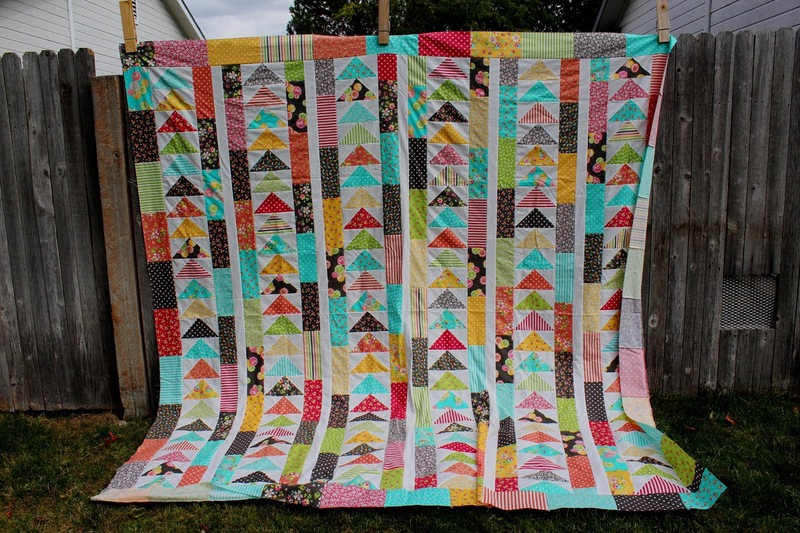 Friday Finish: Scrumptious Swoon Quilt!